Alzina Stevens was born in Maine in 1849. At the age of thirteen she went to work in a local textile company and soon afterwards lost her right index finger in a factory accident. She later told friends that this missing figure became a perpetual reminder of her need to improve working conditions and regulate child labour. 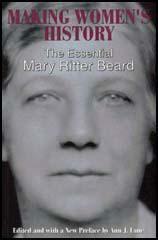 When Stevens was eighteen she moved to Chicago and found work in the printing trade as a typesetter and proof-reader. An active trade unionist, Stevens became one of the leaders of the Knights of Labor in Chicago. 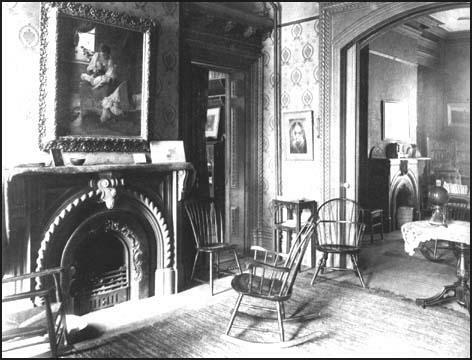 In 1892 Stevens became a resident of Hull House where she joined other social reformers such as Jane Addams, Ellen Gates Starr, Edith Abbott, Grace Abbott, Mary McDowell, Florence Kelley, Julia Lathrop, Alice Hamilton and Sophonisba Breckinridge at the settlement. Stevens became a key member of the group and one of the few women involved at Hull House who had first-hand experience of working-class life. John Peter Altgeld was one of the many visitors to Hull House. When he was elected governor of Illinois in 1892 and the following year he appointed Florence Kelley as the state's first chief factory inspector. Stevens became her chief assistant and together the two women helped Altgeld to pass and enforce legislation that controlled child labour in the state. 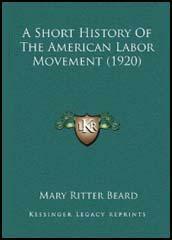 This included a law limiting women and children to a maximum eight-hour day. This success was short-lived and in 1895 the Illinois Association of Manufacturers got the law repealed. After Altgeld's defeat in 1896 Stevens became the first probation officer of the recently established Cook County Juvenile Court Committee. Alzina Stevens died in 1900. The Nineteenth Ward of Chicago is perhaps the best district in all Illinois for a detailed study of child labour, both because it contains many factories in which children are employed, and because it is the dwelling-place of wage-earning children engaged in all lines of activity. The largest number of children to be found in any one factory in Chicago is in a caramel works in this ward, where there are from one hundred and ten to two hundred little girls, four to twelve boys, and seventy to one hundred adults, according to the season of the year. The building is a six-story brick, well-lighted, with good plumbing and fair ventilation. It has, however, no fire escape, and a single wooden stair leading from floor to floor. In case of fire the inevitable fate of the children working on the two upper floors is too horrible to contemplate. In the stores of the West Side, large numbers of young girls are employed thirteen hours a day throughout the week, and fifteen hours on Saturday: and all efforts of the clothing-clerks to shorten the working-time by trade-union methods have hitherto availed but little. Bennie Kelman, a Russian Jew, four years in Chicago, was found running a heavy sewing-machine by foot-power in a sweat-shop of the nineteenth ward where knee-pants are made. A health certificate was required, and the medical examination revealed a severe rupture. Careful questioning of the boy and his mother elicited the fact that he had been put to work in a boiler factory two years before, when just thirteen years old, and had injured himself lifting masses of iron. Nothing had been done for the case; no one in the family spoke any English, or knew how help could be obtained. The legislation needed is: (1) The minimum age for work fixed at sixteen; (2) School attendance made compulsory to the same age; (3) Factory inspectors and truant officers, both men and women, equipped with adequate salaries and travelling expenses, charged with the duty of removing children from mill and workshop, mine and store, and placing them in school; 94) Ample provision for school accommodations; money supplied by the State through the school authorities for the support of such orphans, half-orphans, and children of the unemployed as are now kept out of school by destitution.